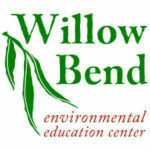 An annual favorite, join Willow Bend Environmental Education Center for a Science Saturday that’s all about making fun holiday gifts out of reusable and natural materials. Guest artists will assist participants with different projects including recycled holiday cards, bottle top and pine cone ornaments and more. Materials and supplies will be provided. FREE admission!